knock2+ Notifications Knock²+ // Notification LED was so yesterday! 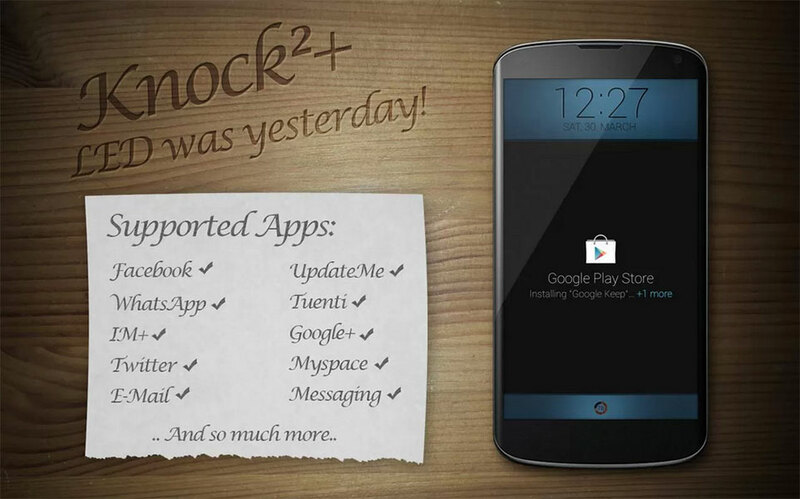 Knock²+ // Notification LED was so yesterday! I'd like to take the time to mention a nifty little app that does great work, knock²+. What does it do? The simplest of thing, on screen notification without turning your screen on. It will only bounce the notification of the application plus a short little message associated to that notification. I've been running with it now for a month or so and I'll be honest if 1% of battery usage shows up for that application during the day that's pretty good. 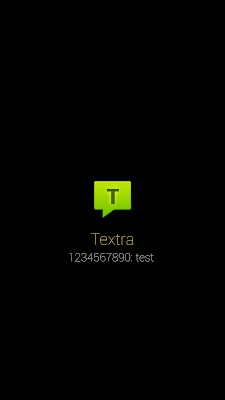 The application actually offers several features and multiple app selection for the notification you'd like to be presented with such as Gmail, Google+, Facebook, Textra, Hangouts and more. You have quick controls that can be accessed via the notification menu, sleep mode for the night time, the type of slide in or pop up on screen effect and you can even get the LED to flash. Both paid and free version are available.